Royal Harare Golf Club boasts the biggest Ladies golfing section in Zimbabwe. The current ladies membership stands at around 180, with approximately half of those being active playing members. Ladies Day at Royal Harare Golf Club is on a Tuesday afternoon when the ladies tee off from just after 11:30. The average Tuesday afternoon sees around 40 ladies competing in various forms of the game over the course of the month. Prize giving is always held in the Main Lounge and is accompanied by tea and snacks or a refreshing drink. The Royal Ladies section has a Captain and Vice Captain, as well as a very energetic committee who take care of the extremely efficient running of the ladies section. 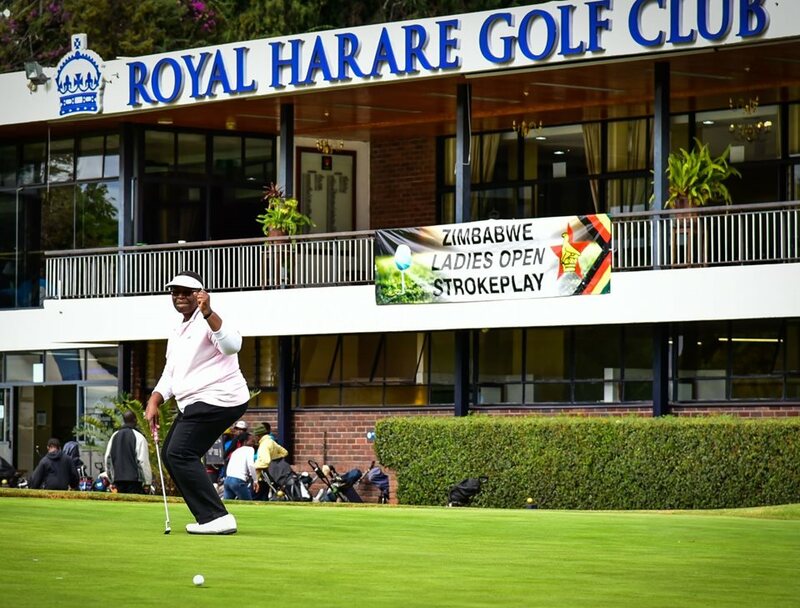 Full lady members of Royal Harare Golf Club have equal voting rights to their male counterparts at the Club’s AGM and form an active and integral part of the success of the Club. The two premier golfing events on the Ladies fixtures calendar are the Boo Mavros which is held in the first quarter of the year to honour the memory of the late Boo Mavros, a past Lady Captain of the Club, and a Patron of Ladies Golf. This is always a very “pink” day when the club house and course is festooned in pink which was Boo’s favourite colour. The other big draw card is the magnificent silver trophy presented annually by Patrick Mavros the world renowned silversmith and Boo’s son. In the month of September, the Royal Ladies host the Margaret Davy which is an inter club matchplay event for sixteen teams of four from all over Zimbabwe and as far afield as South Africa, Botswana and Swaziland. This is a thrilling team event which is always well received by visiting teams. Another great tradition at the Club is the Lady Captain’s lunch which is held just before the Ladies AGM at the end of March. This is always a very relaxed and happy occasion, but is not to be outdone by the Annual Prize giving and Christmas party which takes place at the end of November. The Royal Harare Golf Club ladies section is a wonderful cross section of race, age, and golfing ability all linked together by their passion for the traditions and values of this wonderful Golf Club which they strive to maintain and improve upon every year.